An end-of-terrace house due for renovation. The official description is “A terrace of two-storey and single-storey houses fronting Crawfordsburn Main Street, originally all single-storey and dating from the mid-nineteenth-century. The group has been compromised by significant alterations and refurbishments over the years such that it is of no interest”. The site is the subject of the following application (31 January 2013) for planning permission “W/2013/0025/F Demolition of country club buildings to allow development of a new housing scheme comprising 40 new residential units, along with ancillary parking and landscaping and the renovation and extension of existing dwellings Nos. 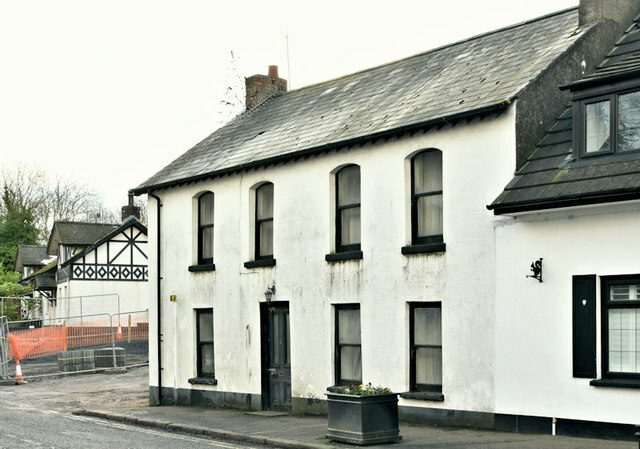 10 and 12 to allow conversion to 3 dwellings. Crawfordsburn Country Club and Nos. 10 and 12 Main Street Crawfordsburn Co Down BT19 1JE”. The photographs submitted by me appear as a matter of neutral record only. I have no connection with the developer or the objectors. I cannot enter into correspondence.